We opened in August of 1995 with one building and now have six. We are one of the largest self storage companies in the South Hills area of Pittsburgh. We are one of the few small independent businesses left in this area. Our customers are our number one priority. We pride ourselves on our customer service and the security and cleanliness of our facility. We look forward to seeing you at our facility in Bethel Park, PA.
"l've been renting storage space from Rt. 88 Self Storage for seven years. During that time, l've found the staff to be professional and the facility to be well maintained. The women that run the place are friendly and very helpful. When I can't be present to take deliveries, they see to it that the truck driver drops that material in front of my space. The grounds keeper has bent over backwards at times to help me. l've been very happy with quality of service l've received from Rt. 88 Self Storage. I recommend them to friends who are looking for storage space. Nancy, Janine, Tim, and Brittney are professional and very easy to do business with." "We could not be more pleased with the way we have been treated at Route 88 Self-Storage. Their employees have given us more service than we asked for and have gone far beyond our expectations. We have been customers there for at least ten years and wouldn't think of going anywhere else. We are so grateful to all. They're terrific!" "In the line of work I'm in, I have had experience with several storage unit facilities. Rt. 88 Self Storage, by far has been an amazing experience. The staff creates a familial atmosphere, while being organized and professional. The cleanliness and safety of this temperature controlled facility makes my job and personal life very convenient. Rt. 88 Self Storage is absolutely five stars in every way!" "I have been a customer of Route 88 Self Storage for over a dozen years. I could not be happier. My rentals have usually been work related but I have also used them on several occasions to store personal items when needed. I always enthusiastically recommend them to friends and family. Their location is convenient and always well maintained. The staff is warm, professional and efficiently responsive to any needs that I may have. Nancy and Janine have been absolutely fantastic to deal with over the years." "The folks at Route 88 Self Storage are the best! They have been extremely helpful whenever we needed something and have gone out of their way to meet any of our needs. I would recommend them highly." 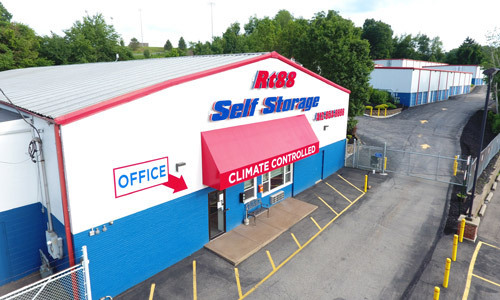 "For nearly 20 years, the folks at Rt 88 Self Storage have been able to meet our ever changing storage needs. The great customer service, and reasonable rates are a tough combination to beat."